Many times I see young disciples getting deflected by lesser things. Sometime even the good gets in the way of the best. This is a devotional I use to illustrate the obstacles to truth. 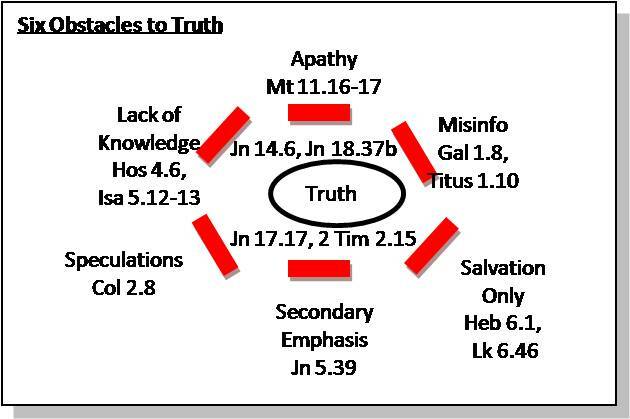 Ultimately, I want these disciples to major on the Word of God as it points to the person of Jesus Christ who is Truth.